As much as we like visual effects, photos and ad banners, often they are not rendered on some internet platforms and more ever they are not accessible by Search Engines. 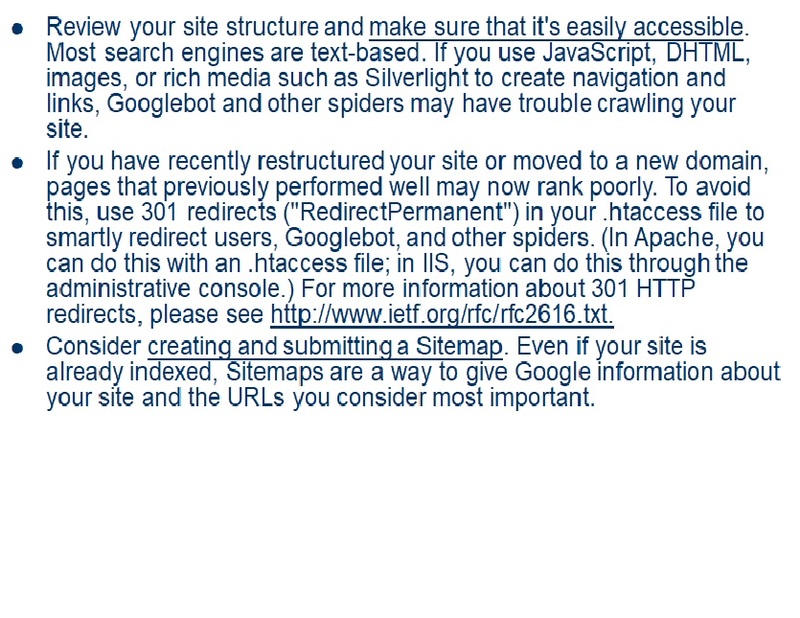 Also, if you recently restructured you site, some pages might show in Google search results as broken links. This all together significantly impacts user’s negative experience with the site and ultimately decreases Google Page Rank. There is a SEO strategy for dealing with these technical issues. Please read and contact DigiBizMarketing LLC with any inquires online or by phone.